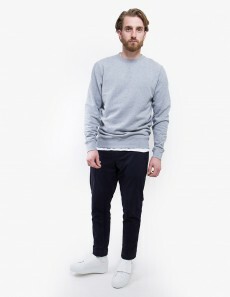 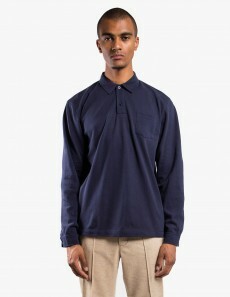 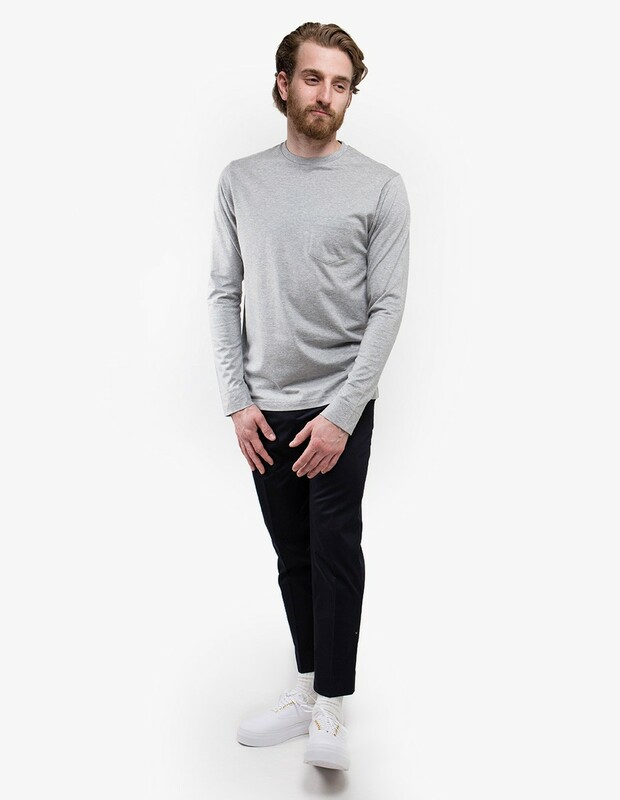 The 60's Long Sleeve Crew Neck with Pocket is a classic fit long sleeve T-Shirt. 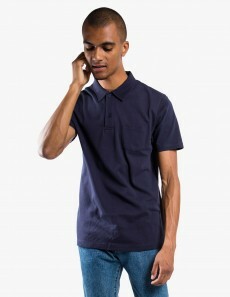 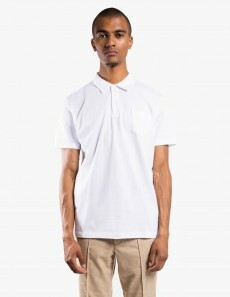 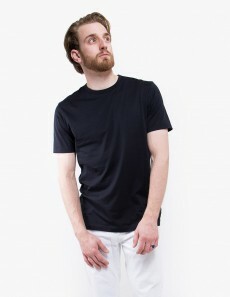 The T-shirt is made from 100% long staple cotton, for a soft feel and features a ribbed neck and chest patch pocket. 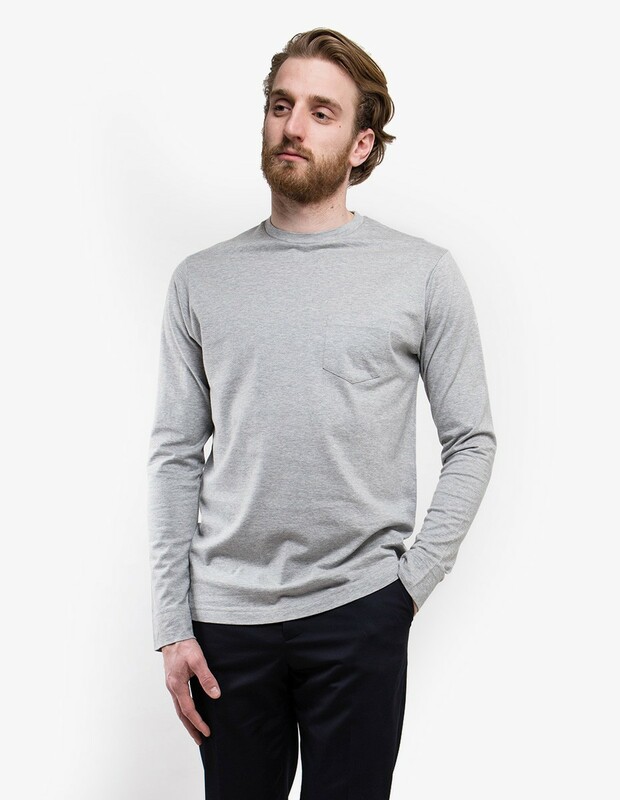 The shirt comes in Grey Melange and is an essential to your everyday wardrobe. 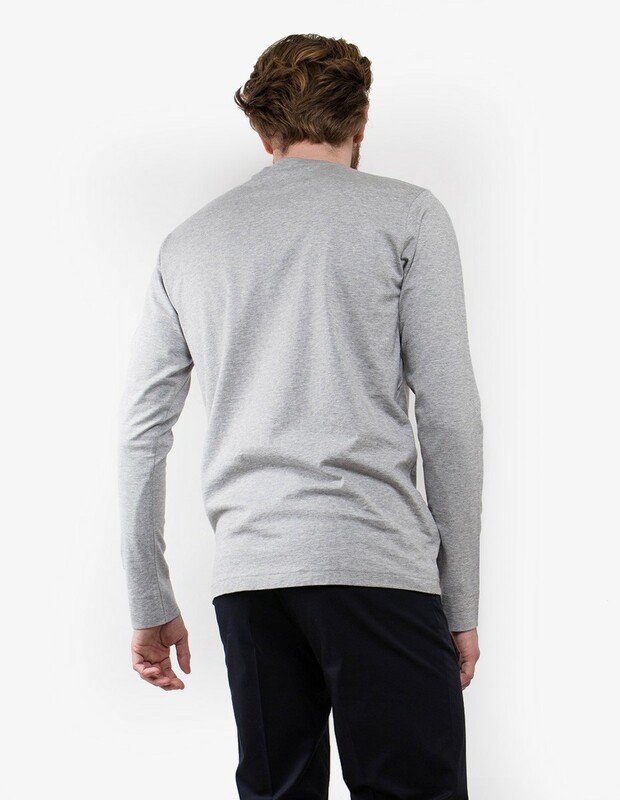 Brands are built on experience and constant rejuvenation. 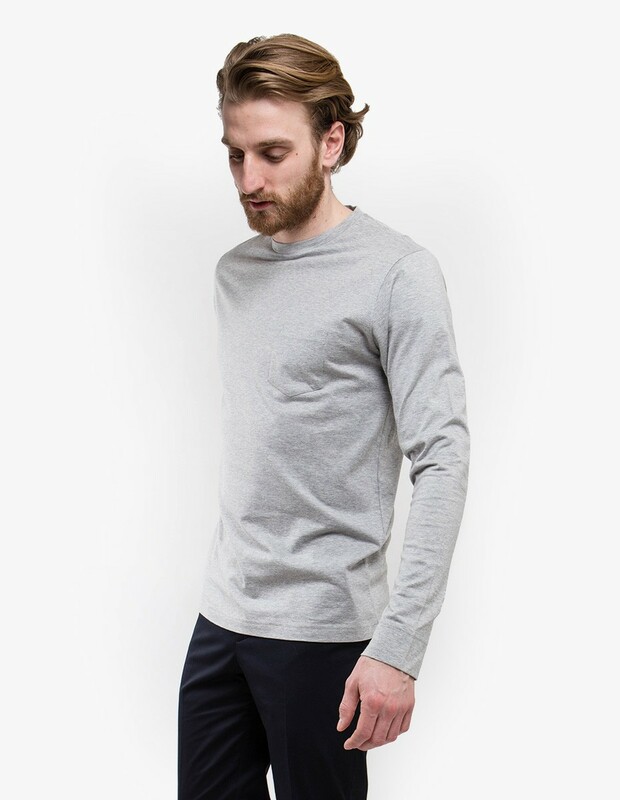 Established as an off-spring of the British lace-making industry the almost 150-year-old brand, Sunspel remains still relevant in terms of classic, high-quality design and construction. 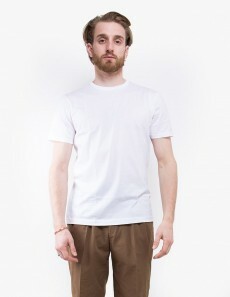 Its founder Thomas Arthur Hill, objective attitude ensures essential design while staying innovative to their basics.